So I’ve finally gotten round to posting the recipes from my last two posts. Here’s the first. 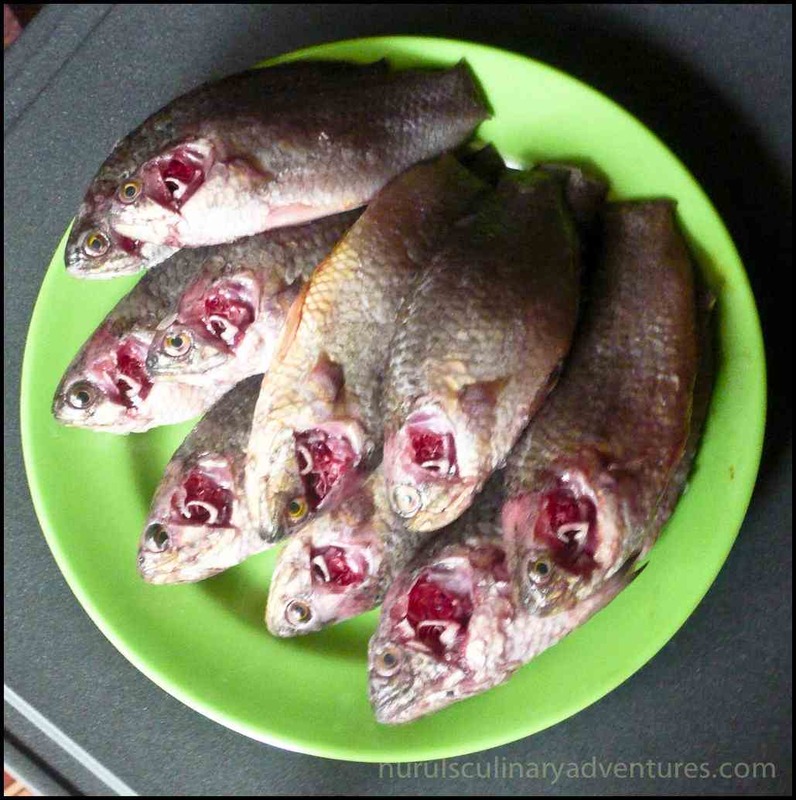 It’s actually from taste very similar to the Bengali fried fish recipes that I’ve already posted! 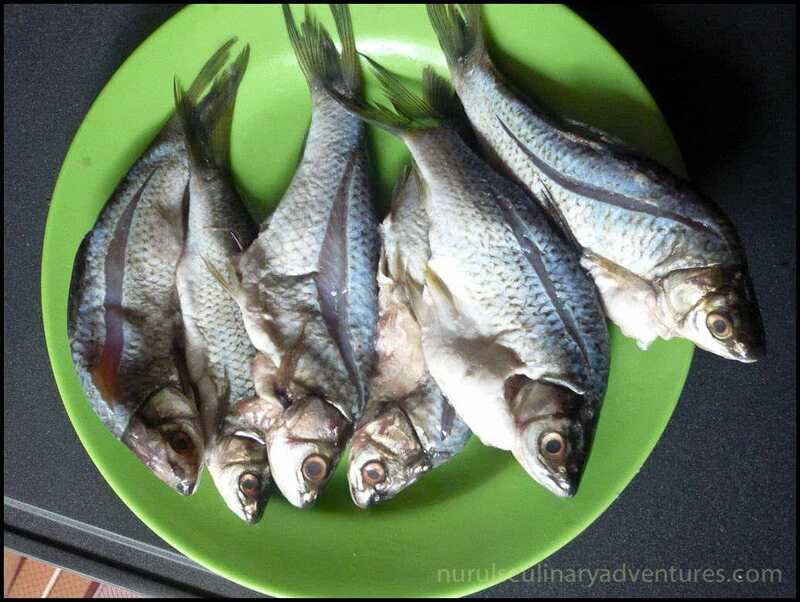 Fish sauce and lemongrass is not used for cooking in Bangladesh. For this dish I tried ‘Trey Saw’ (white fish) for the first time. I picked them up at the largest market here in Siem Reap – ‘Psar Leu’ which is an amazement in itself!! I’ll do a post or two on the markets here in the future. (Just to make you foodies mouth water at all the fantastic food and cooking ingredients available here!!) I also used trey krung (‘khoi maas’ in Bengali) which I’ve done a post about in the past.